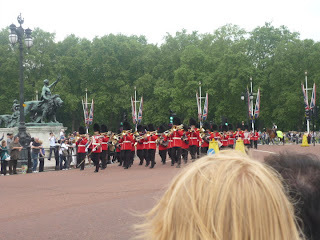 Since it was our first trip to Europe, the first thing that came to our minds was London. Actually the idea of making a trip to Europe started because Air Asia launched the flight to London. But when we actually went on the trip, we didn't fly Air Asia. The fare advertised was quite misleading. We found out that it was actually cheaper to fly SIA or some Arab airline instead, especially when they have promotions on. Our fare was RM3400 return, all in, including the flight from Penang. And also includes meals on board, super entertainment and service not to mention the experience of flying Airbus 380! 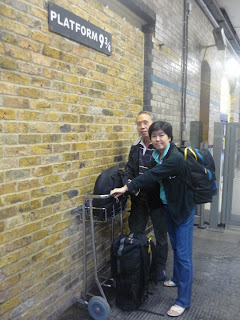 London was our first stop partly because of an invitation from my friend for us to stay in his place in London. It was so nice of him to meet us at the airport and letting us have a room at his place for three nights. If you are making a first visit to London and Europe, I would suggest staying at a B&B at the King's Cross Station area. If you move around by train in Europe, always check out the accomodation around the train stations...it will save a lot of time and hassle. This site gives good info about accommodation in London, http://www.londontoolkit.com/ . 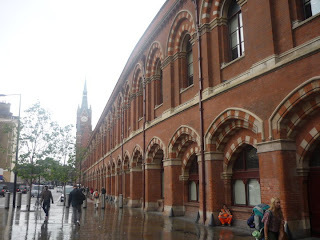 The St Pancras Station from which you take the Eurostar to Paris is connected to King's Cross Station. While you are there it'll be fun to take some photos at the 9 3/4 Platform which is supposed to take you to Hogwarts, according to the Harry Porter stories. Our first impression of London was that it's quite a dirty place. Later when we visited our places in Europe we found out that the other places are not any better. So different from places like Singapore and Japan. When you are at the train stations and the train itself you'll notice the obvious difference between Singapore's cleanliness and London or Europe. And you see graffiti everywhere, especially public and tourist places. That aside, what's nice about London? Besides visiting the famous landmarks like the River Thames, Big Ben, Tower Bridge you should visit the museums and some of the palaces and castles. 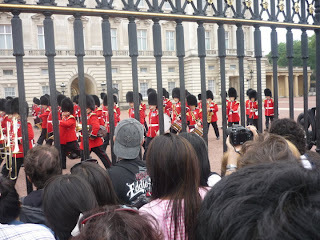 I was rather disappointed about the Changing of the Guards. This "must-see" is actually very much over-rated. The mammoth crowd made viewing difficult. And even if you get to see the full view, its really nothing impressive at all. But tourists (like us) still flock to see the ceremony which is performed daily in summer.This link will give you all the info you need about the schedule. http://www.changing-the-guard.com/Maybe it would be a better idea to visit the Guards Museum and take a photo with the wax soldier instead. 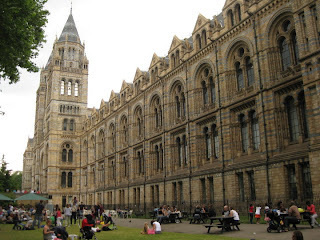 To make full use of your visit to London, you should do your research and planning ahead. For my first day, we visited the "free" places. A good start would be theWestminster area. Here you can see the Big Ben and the Parliament Houses, Downing Street, Buckingham Palace and St James' Park. After seeing the Changing of the Guards, walk to the nearby famous Trafalgar Square, where you can also visit the National Gallery and the Portrait Museum. 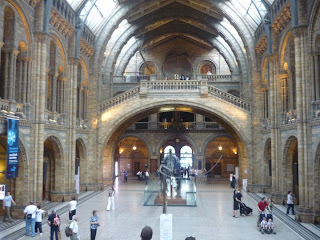 Next you can go to the Museum of Natural History. You will need to take the Tube from Leicester Square to South Kensington on the Piccadilly Line. Its useful to learn about the transport first before visiting a place. Even though Tube maps are available at every station, its better to plan well ahead. That way you save a lot of time. Check this out: http://www.tfl.gov.uk/gettingaround/Since you would be travelling around quite a bit, it would be much cheaper to either get an oyster card or day pass. 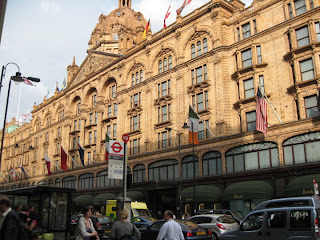 From the Museum you can walk to Harrods then maybe have a picnic at Hydes Park. On our second day we used the London Pass. http://www.londonpass.com/. It costs 40 pounds for a day pass. Supposedly there is no limit to the number of places you can enter but of course you won't have the time to go to many places. We used the pass for the Shakespeare Globe Theater,(1o.50) The London Bridge Experience Exhibition,(21.95) The Tower of London,(17.00) the River Thames Cruise,(13.50) and Hampton Court Palace. (14.00) which adds up to almost 80 pounds but it was quite a bit of rush. We didn't finish the London Bridge Experience Exhibition tour partly because the second part was supposed to be quites scary but mainly because we had not enough time. 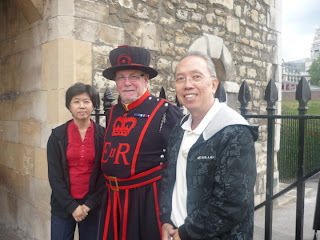 We went in the Tower of London, had lunch there, but didn't go in to the individual exhibition rooms. There is a 20% discount on food for pass holders, so we saved on food also. The River Thames Cruise was worth it. But by the time we got to Hampton Court, some of the scheduled shows were over. Nevertheless, we still found the palace building and grounds awesome. We were among the last to leave the palace! After that we went souvenir shopping at London Crest where each pass is entitled to a 5 pounds discount, that means 20 pounds discount and all you need to do is buy at least 20 pounds and show your pass. On the third day, we took the Eurostar to Paris. 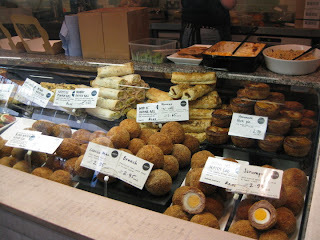 Make sure you allot some time at the station to look around and also buy food to eat on the coach. When we booked online, we chose 4 seats with a table in the middle. It was quite fun having lunch on the train to Paris. The next post will be on Paris.